2. Right-click the email from the send you want to block. 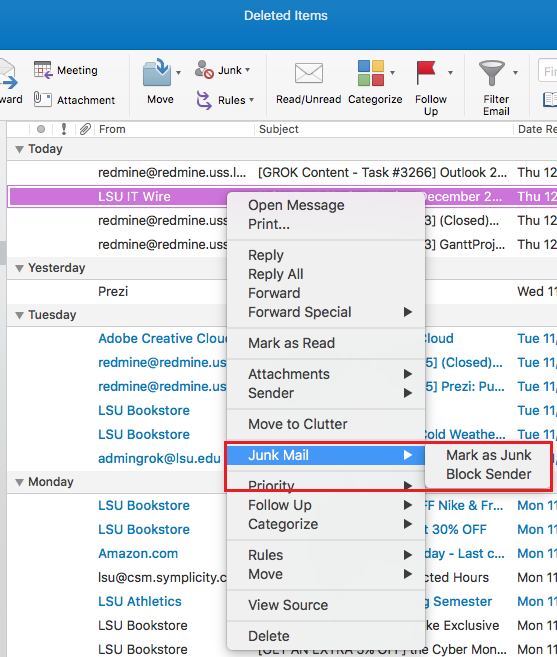 Under the Junk Mail option, choose Block Sender.